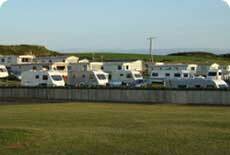 The multi-award winning Ballyness Caravan Park is located just a short walk from the beautiful village of Bushmills. A beautifully landscaped park with mature trees and walking trails around its natural ponds. If you are lucky you might just see a Swan guiding her cygnets into the waters, a resident Otter taking a leisurely swim or the illusive Kingfisher hovering above the long grass. 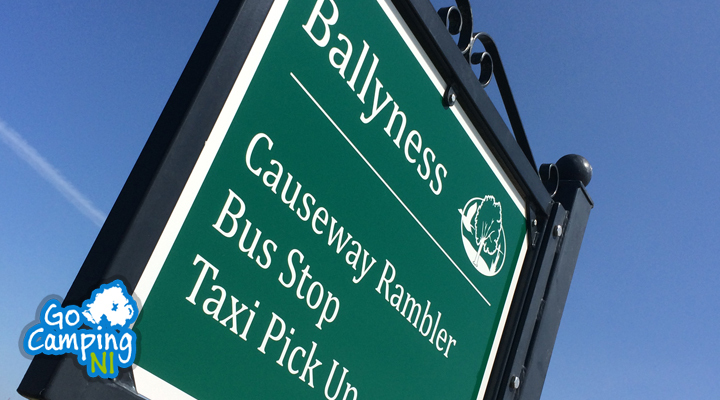 Ballyness has 50 touring pitches divided into three manicured areas. 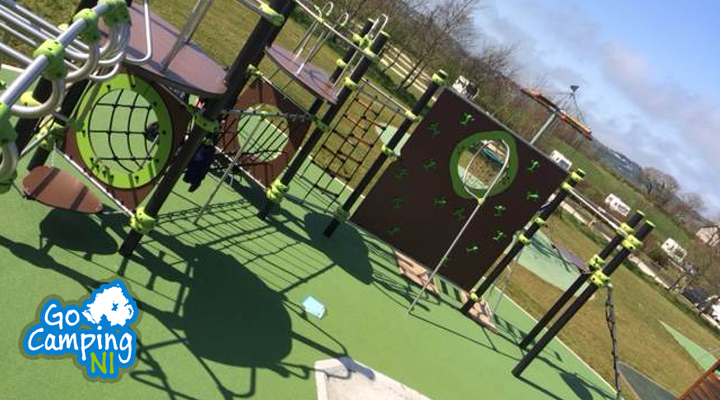 To keep children entertained, there is a dedicated play area, football field and games room. 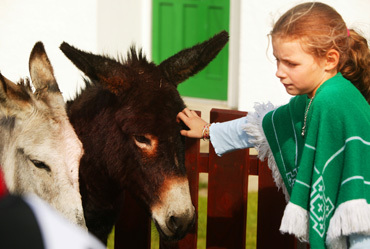 Bushmills is only minutes from the major attractions on the North Coast, making it a great base to explore from. 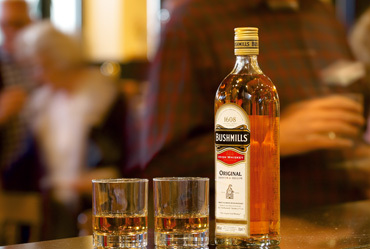 Leave your car at the park and enjoy an afternoon at the Old Bushmills Distillery. Located just a short walk from the park means you can sample the many varieties of the famous whiskey without the hassle and cost of getting a taxi back. Facilities onsite include a modern heated shower/toilet block, dishwashing area, laundry room, free WIFI, play park, TV & games room and a chemical disposal point. Book for 7-13 consecutive nights and get one night free (excl Easter, July and August). 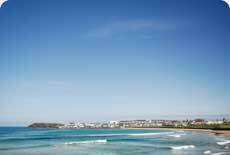 Book for 14+ consecutive nights and get two nights free (excl Easter, July and August). Irelands largest outdoor sporting event, attracting over 100,000 people. 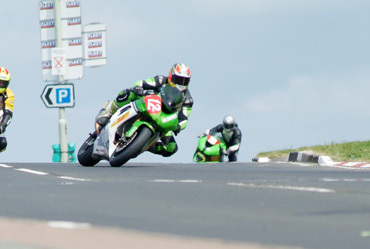 The motor cycle road race takes place annually in May around Northern Ireland's North Coast. Read More. Visit the oldest working whiskey distillery in Ireland with a guided tour lasting approximately 45 minutes. Read More. 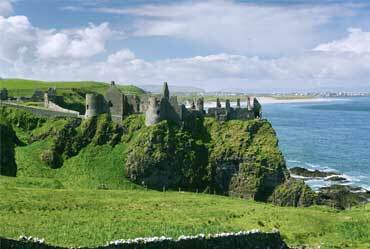 Now a ruined medieval castle, Dunluce Castle dates back to the 13th Century. Perched on the cliff top, Dunluce has lost entire rooms due to erosion to the cliff below. The Castle is in the care of the NIEA and is open daily to the public. Read More. Located in the northeast coast of Northern Ireland, these 40,000 interlocking basalt columns were created by a violent volcanic eruption around 60 million years ago. The Giants Causeway is the only World Heritage Site in Northern Ireland. Read More. A moderate walk running from Bushmills to Portrush via Portballintrae (Portballintrae Beach), taking in beach, cliff and castle. Read More. This is a State Care Monument consisting of a pair of earthen concentric rings with an inner and outer enclosure. The site is often referred to as "The Cups and Saucers" due to its shape. Read More. 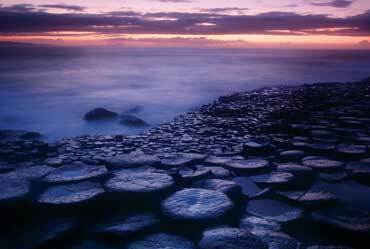 Renowned for its polygonal columns of layered basalt, is the only World Heritage Site in N Ireland. Resulting from a volcanic eruption 60 million years ago, this is the focal point for a designated Area of Outstanding Natural Beauty. Read More. 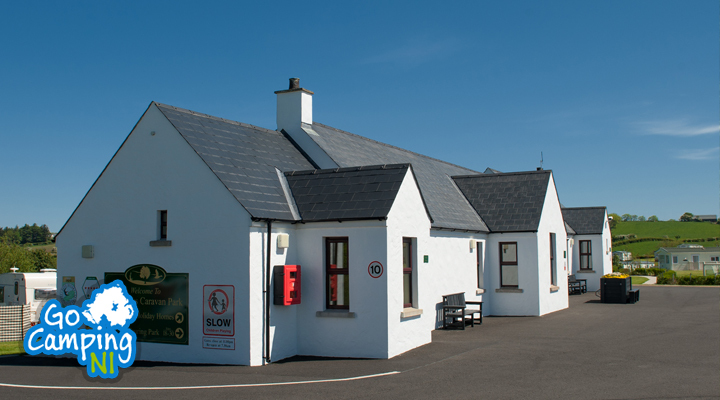 Carrick Dhu Caravan Park is located just a short 20min walk from the seaside resort of Portrush on Northern Ireland's Causeway Coast. Read More. 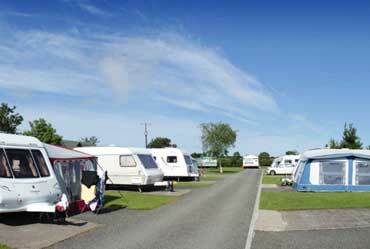 Tullans Country Holiday Park is situated on a 100 acre farm, surrounded by fields. 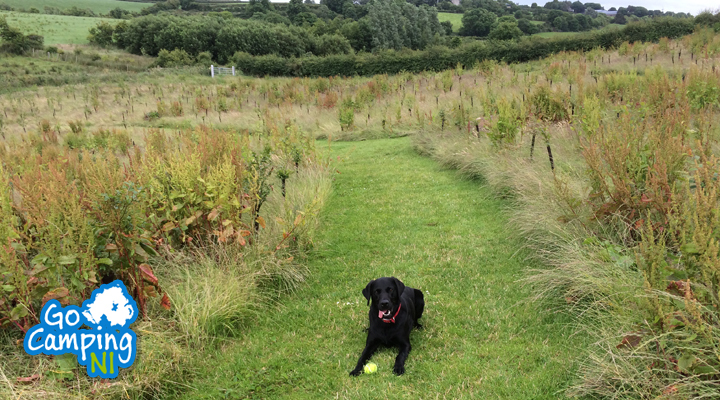 Tullans offers a safe environment where children can run and play freely. 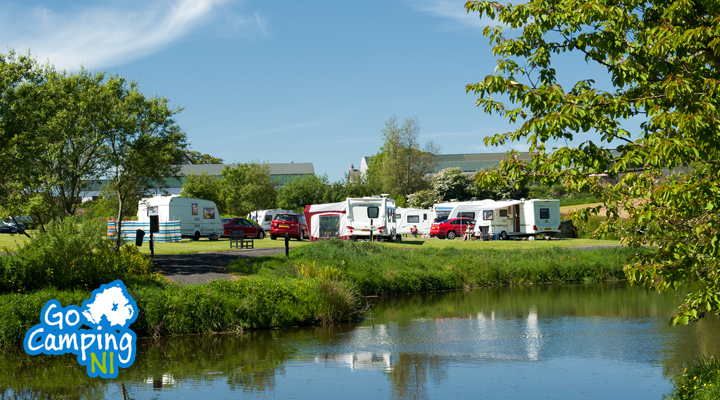 Just 5 minutes from Coleraine this park offers a perfect base for exploring Northern Ireland's world famous Causeway Coast. Read More. 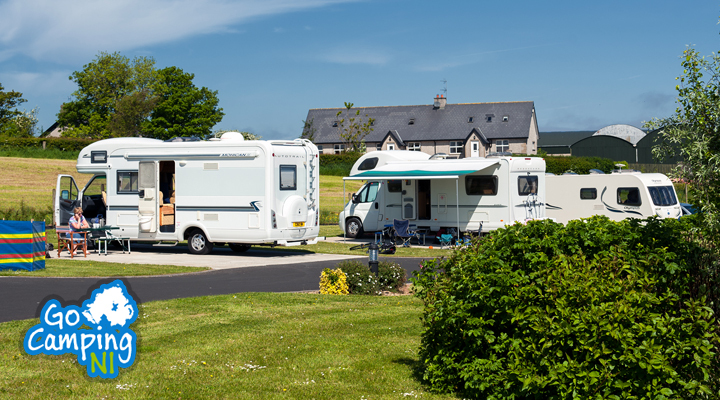 Juniper Hill Caravan Park is located just a short 20min walk from the seaside town of Portstewart on Northern Ireland's Causeway Coast. Read More.